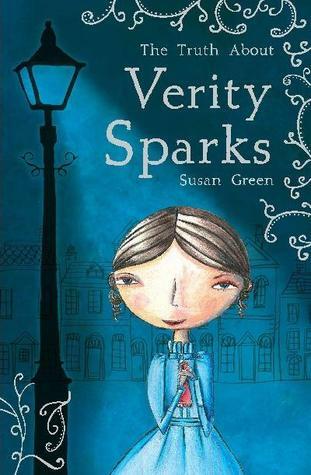 Verity Sparks is a thirteen-year-old orphan working as a milliner in Victorian London. But Verity is no ordinary girl she has an almost perfect memory and possesses the talent of Teleagtivism. She can easily find things that are lost! When Verity is wrongly accused of theft and dismissed from her job, she goes to live with the Plushes a slightly Bohemian family who run a Confidential Inquiry Agency. Verity helps them solve cases and slowly becomes one of the family. But patches of the truth about her past begin to surface, along with the special talent that Professor Plush is helping her explore. Who were her real parents? Is she the seventh daughter of a seventh daughter? Who is sending poison pen letters about Verity to the Plushes? Who doesn't want them to learn the truth about Verity Sparks? An historical mystery with a dash of the supernatural thrown in; the Verity Sparks series is packed with chases through the dark alleys of London, séances in high-class dining rooms, pet pythons named Anthony and Cleopatra, murdered opera singers and much, much more. The spunky protagonist is a likeable and charismatic character who will appeal to both boys and girls with a taste for mystery and adventure. Fans of The Keepers Trilogy by Lian Tanner will enjoy reading about the enigmatic Miss Sparks.